Putting a price on water prompts us not to waste it, decreasing the overall amount that must be treated and pumped. Remove water charging and the financial incentive to use water sparingly is gone. Other taxes would need to rise to cover the higher volumes of water that need to be supplied. A likely outcome of removing the charges would be that more money would be needed than was previously collected through water charging. Keeping water prices at an artificially low level leads to a “vicious cycle” of underfunded service providers, insufficient investment, collapsing infrastructure and deteriorating services, according to the European Environment Agency. If this sounds bleak, that’s because it is – cheap or free water has been tried before. It doesn’t work. The key is to deal with the problems facing low-income households and the problems facing our water supply as separate issues. While the average price paid per household is already one of the lowest in the EU, a social tariff could be added to reduce the cost for the most hard-pressed households by perhaps €50-€100. The allocation and management of social tariffs could be delivered through the Department of Social Protection. Such an approach would also mirror best practice in the rest of Europe. The alternatives: lower rates or the removal of charges altogether would remove the incentive to save water. 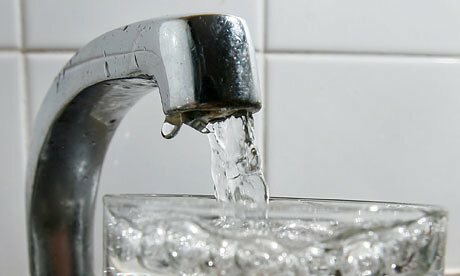 Figures from Eurostat released in November 2015 suggest the average person in Ireland accounts for 400 litres of water use a day (146,000 litres a year), some five times higher than in Belgium. It’s possible the difference can be partly explained by leaks, greater water use in high-consumption households, or a combination of factors. But it’s a challenge that can be tackled. In the Czech Republic, household water consumption fell by 40 per cent, from 171 litres per person per day to 103 litres a day, in the 12 years following reforms in 1990. Denmark, which extended volume-based charging in 1993, is similar. And the treatment, pumping and use of high volumes of water isn’t the only issue. In 2013, there were 704 reported cases of verotoxigenic E.coli, a harmful bacteria. Some 5 to 8 per cent of those affected suffered serious kidney complications. One in 20 of those died. Water-borne E.coli in Ireland is 50-60 per cent higher than the next-worst EU states: a scandal. Bathing water is another risk area. Along the coast, semi-treated sewage is discharged through what appear to be streams. Children mistake these for attractive play areas. In Co Kerry alone, there are at least eight vulnerable beaches. E.coli risk will not materialise every year, and programmes to monitor and close beaches are in place – but the problem of primitive sewage treatment remains. Almost a million people are served by 121 water treatment plants classified as “at risk”. Drinking water consumed by more than a million has excessive trihalomethanes, byproducts of chlorination, associated with cancer and low birth weight. There’s also lead piping. Present in the homes of 400,000 people, solving it will require collaboration between Irish Water and households. Most central and eastern European countries that joined the EU in 2004 now enjoy safer water than Ireland. The choice remains clear. If water pricing was to be jettisoned, consumption would creep back up and savings would fail to materialise. On average, households would need to pay more. Alternatively, a failure to collect additional taxation and invest this in water would prompt an increase in the problems now being tackled.